Pivotal recommends using the Ops Manager VM as your jumpbox. If you use the Ops Manager VM as your jumpbox, the path to the root Certificate Authority (CA) certificate is /var/tempest/workspaces/default/root_ca_certificate. You must have this path to run BBR commands. 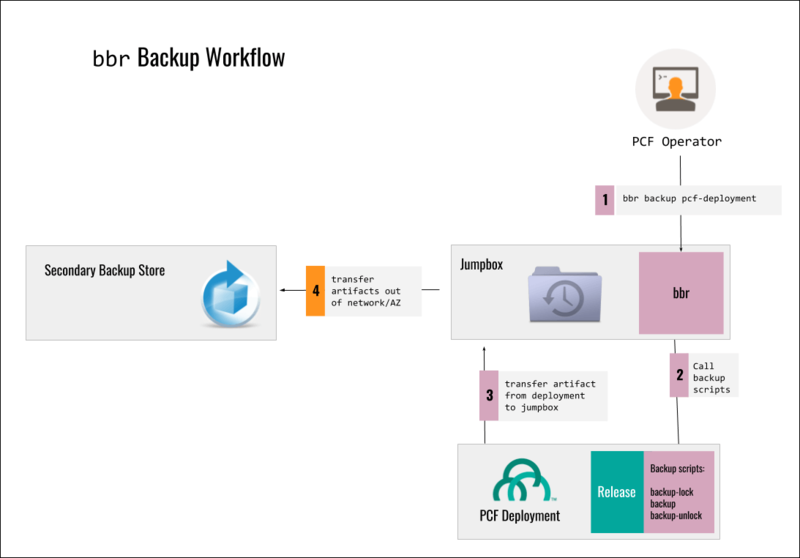 Use Concourse to back up a PCF installation using BBR. For more information, see the BBR PCF Pipeline Tasks GitHub repo. Configure a custom jumpbox. For more information, see Configuring a custom jumpbox for BBR in the Pivotal Support Knowledge Base. 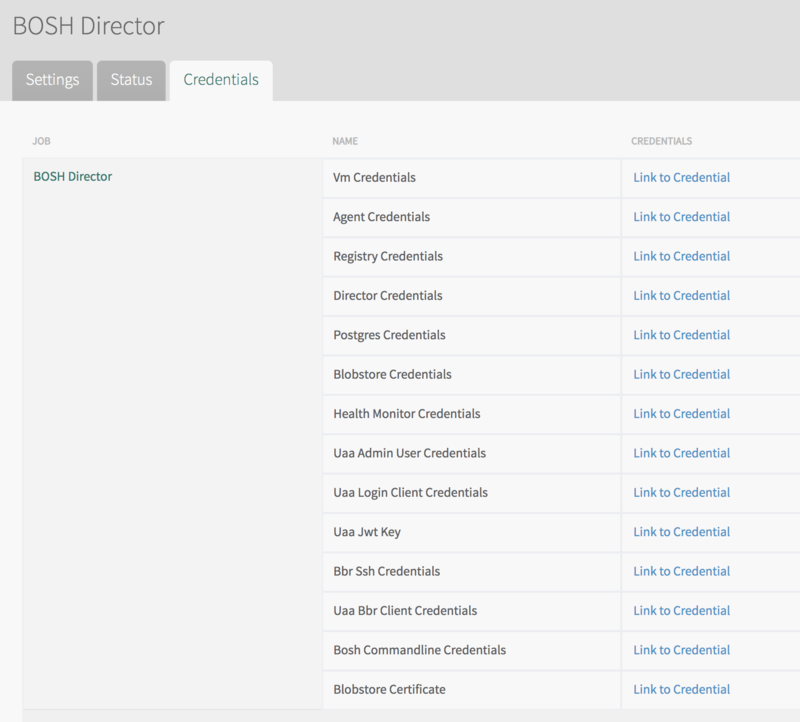 If you are using the Ops Manager VM as your jumpbox, see the Log in to the Ops Manager VM with SSH section of Advanced Troubleshooting with the BOSH CLI for information on how to use SSH to connect to the Ops Manager VM. In Ops Manager, open the Pivotal Application Service (PAS) tile. 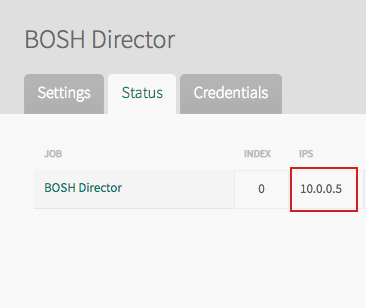 PATH-TO-BOSH-SERVER-CERTIFICATE is the path to the root CA certificate for the BOSH Director. If you are using the Ops Manager VM as your jumpbox, the path is /var/tempest/workspaces/default/root_ca_certificate. 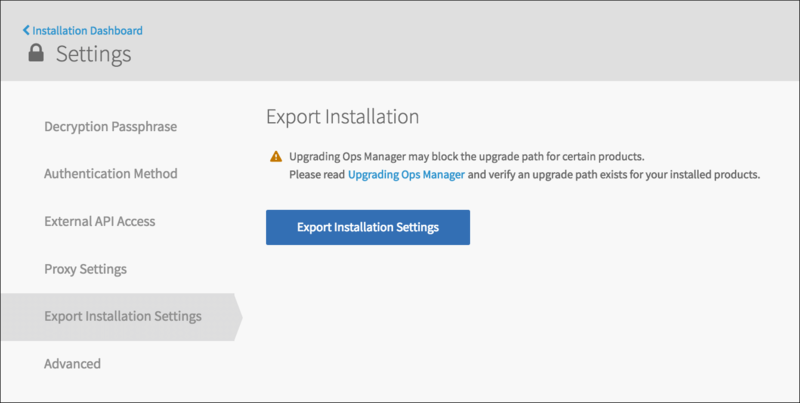 Create a new Ops Manager VM in a different network to the original. Ensure that the Ops Manager VM has enough persistent disk to accommodate the files exported in the previous step. Consult the topic for deploying PCF on your IaaS.